SB employees endeavour to work in an efficient and transparent manner. Our operations and decision-making are governed by the Electricity Supply Act 1990 (Amendment 2015), Guidelines for Single Buyer Market (Peninsular Malaysia) and various Single Buyer internal documents. The Guidelines for Single Buyer market is formulated with the intention of providing a non-discriminatory and level playing field for all electricity industry participants. 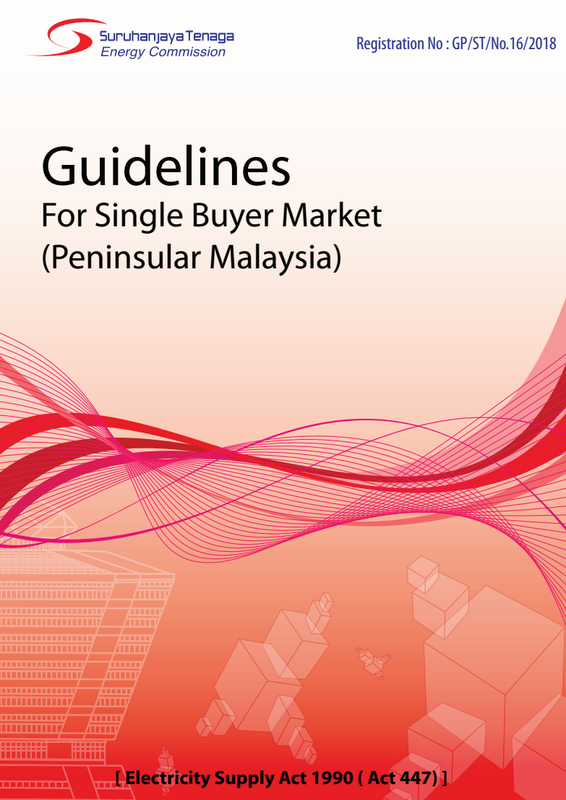 Compliance to this Guidelines for Single Buyer Market will be monitored by ST.
By virtue of section 50C of the Electricity Supply Act 1990, ST has registered a guideline called Guidelines for Single Buyer Market (Penisular Malaysia) on 18 April 2018 ("Guidelines"). The Guideline is intended to govern the operation of the Single Buyer Market and conduct of the Participants. In essence this Guidelines applies in conjunction with the prevalent Acts, Licenses and Generator Contracts. Single Buyer Operations Manual is intended to be one of the source of references on general daily operations and relevant processes in Single Buyer. Our Code of Conduct sets out the basic guidelines that we must follow and guide all of our actions and decisions. The Single Buyer Code of Conduct is aligned with the Single Buyer Rules and Ring Fencing requirements. It sets the standard of ethics and compliance for Single Buyer employees. The Code asserts a principle-based approach, where rules are not stated explicitly and everyday business decisions will be guided by our principles. All Single Buyer employees must read and understand the Code. We must hold ourselves and each other accountable to the Code. Irrespective of your role or position, everyone must feel empowered to speak up and identify behaviours which do not reflect the Code.